In the blink of an eye it seems like we’re waving goodbye to summer and gearing up for back to school. This upcoming school year, I’m sending TWO of my babies off to school. The back to school season is somewhat somber for me since I love having my kids home. 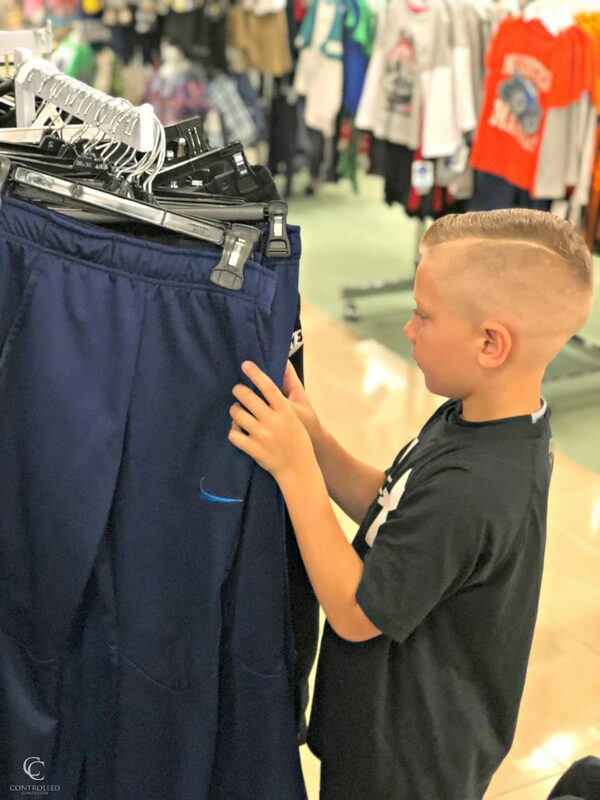 However, we love to have fun with our back to school shopping, so we head to one of our favorite shopping places, Boscov’s. As you can imagine, anytime we venture into Boscov’s its like a free for all for my kids. When we attended the Semi-Annual Houseware Event, it was like a trip to DisneyWorld. 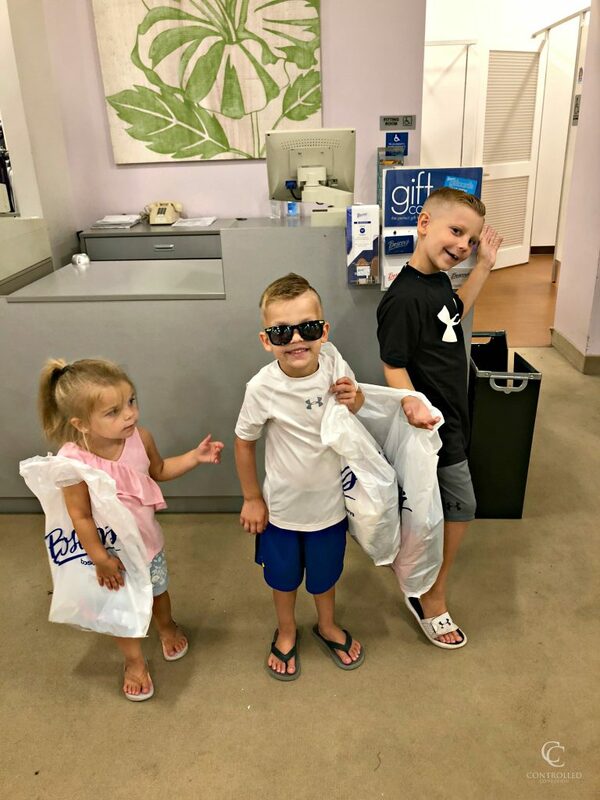 My kids can’t wait to see all of the goodies and they get pretty competitive in their game to see who can score the best deals. 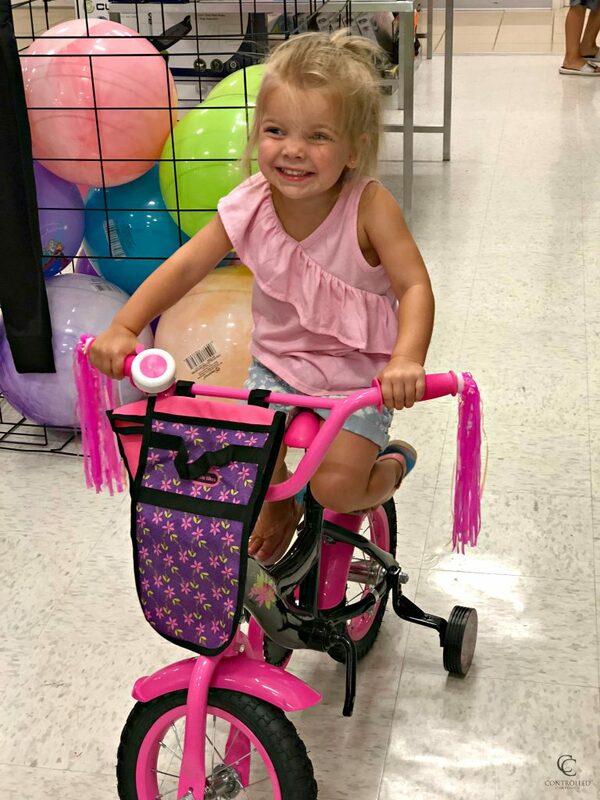 Even my two year old (who can’t read) gets excited when she spots the little red “SALE” sign on the rack! This shopping season is a little different now that two kids are in school. Since our school district has an enforced uniform policy, our Back to School Shopping list includes uniforms and regular clothes. 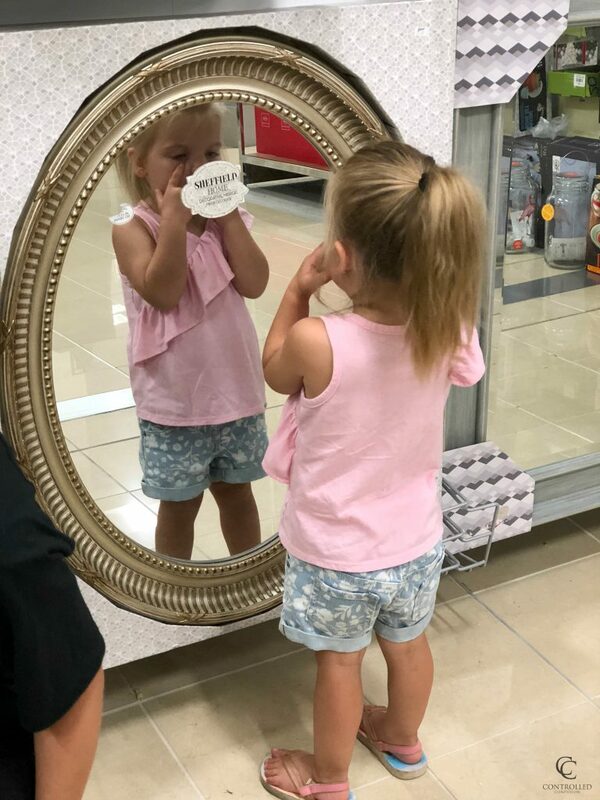 My little princess was not on board with shopping for uniforms for her brothers, but she eventually came around. 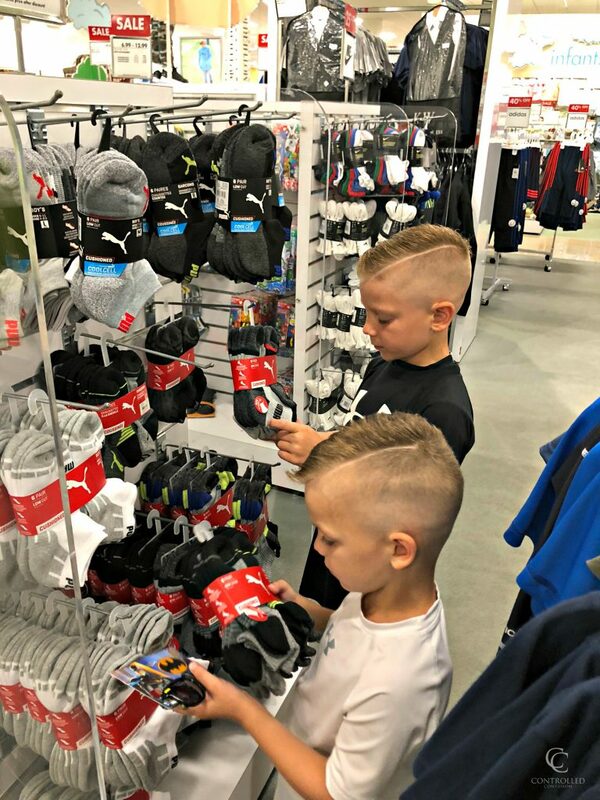 We started our shopping trip heading to the boys department and I let the boys loose! 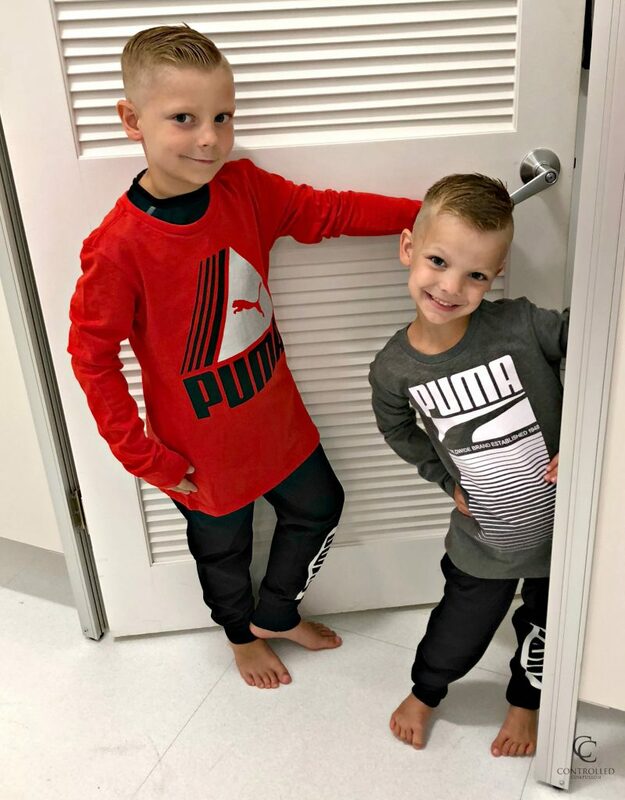 My boys aren’t huge fans of the uniform policy (neither am I), so I try to keep their excitement going by letting them pick out “regular” clothes too. My love for Boscov’s exploded (as if that was even possible) when I discovered they carry French Toast branded apparel in our uniform colors! All French Toast products were 50% OFF!! 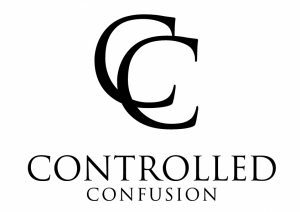 Being forced to purchase specific clothing and colors is SO much easier to swallow when its on sale. 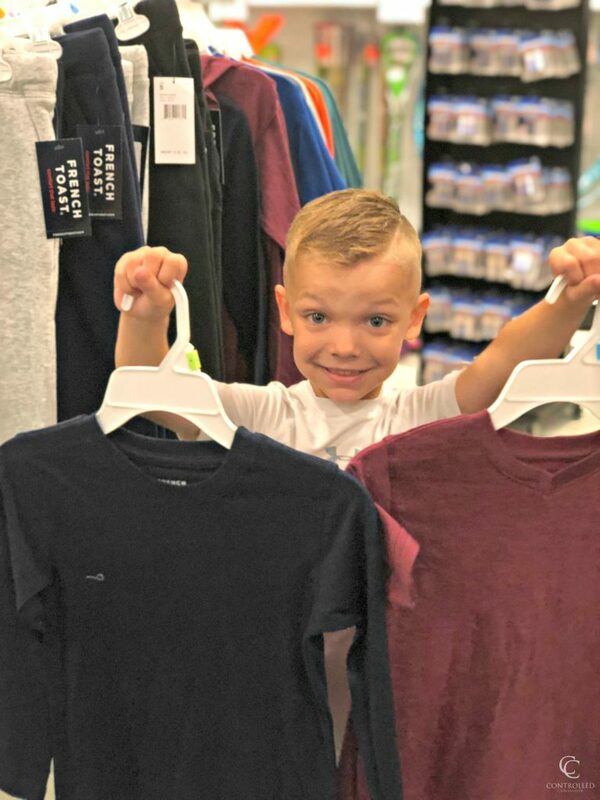 I was able to grab my little guy French Toast Short Sleeve V-Neck Tees for $3.20 and my older guy French Toast Short Sleeve Uniform Polo for $5.99!! We finished up school uniform shopping so fast that the boys jumped onto the fun stuff. My oldest guy couldn’t wait to get his hands on some Nike apparel. He carefully weeded through the rack to find a pair of new sweats in his size. 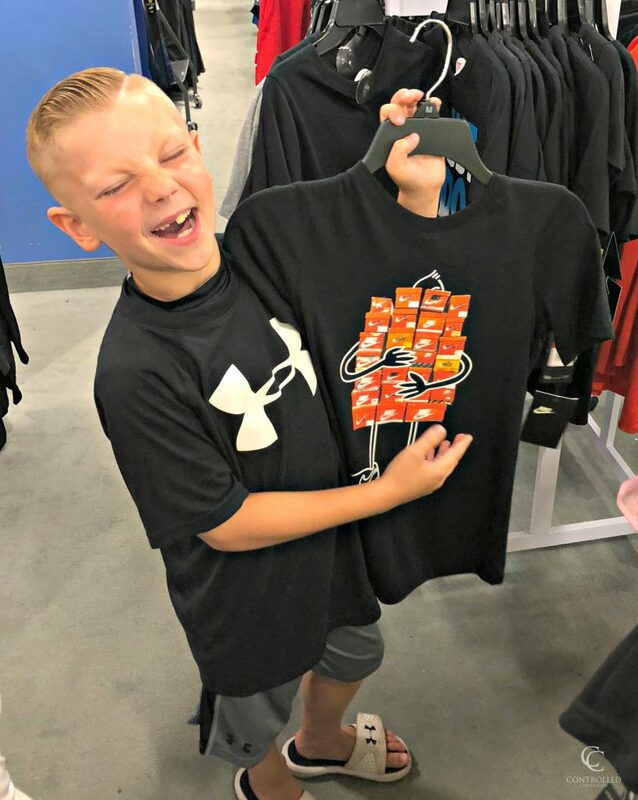 Next he nabbed a hilarious t-shirt with someone holding dozens of Nike shoes. We jumped over to the Puma section, and scored a few shirts for $7.99 each and sweats for $12.99 each! 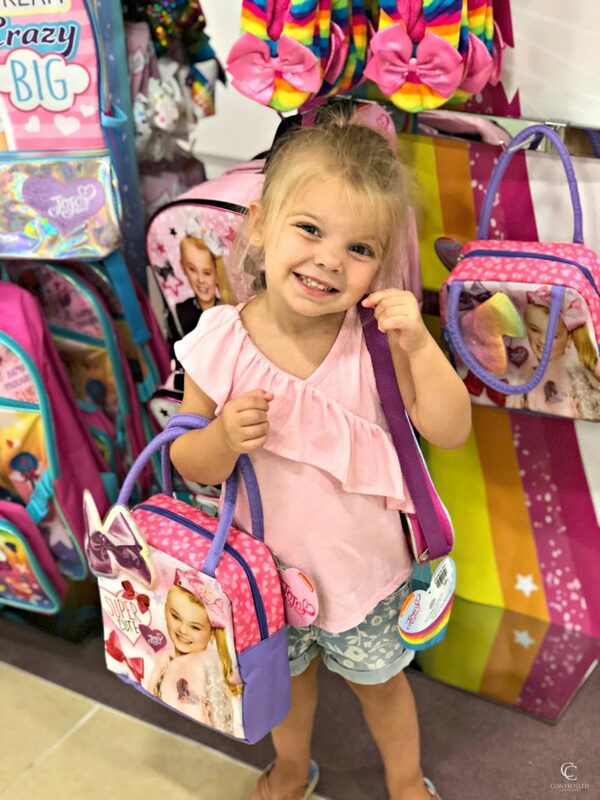 While her brothers shopped, my little princess decided to check out the JoJo bows, lunchboxes, and backpacks. 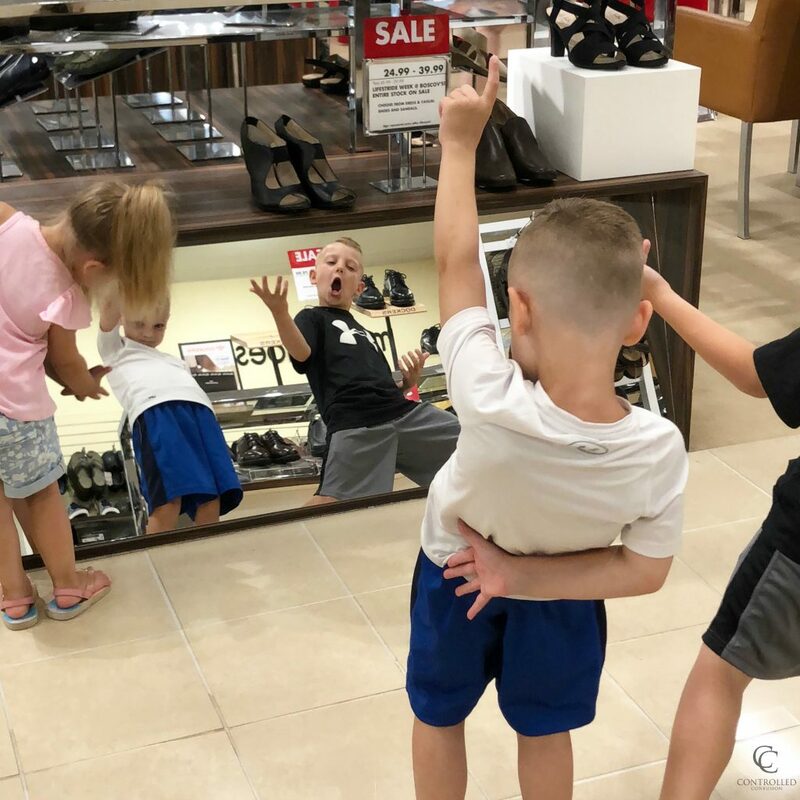 The boys spotted a ton of little red “SALE” signs in the shoe department, which immediately called for them to bust out in song and dance. 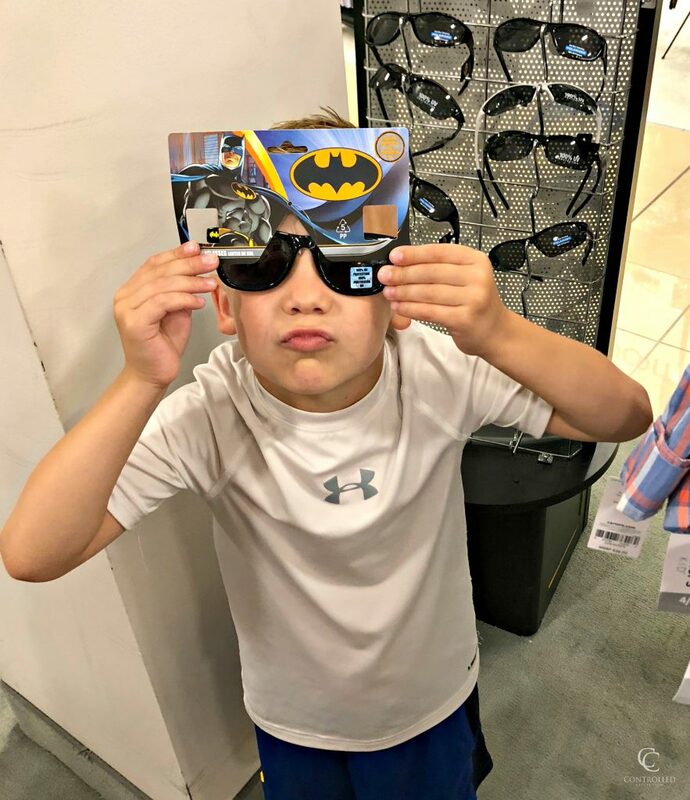 We finished up our trip grabbing some awesome shades for when we’re waiting at the bus stop, I even indulged in a couple of pairs for myself! In one fun trip we are now set for the start of school. 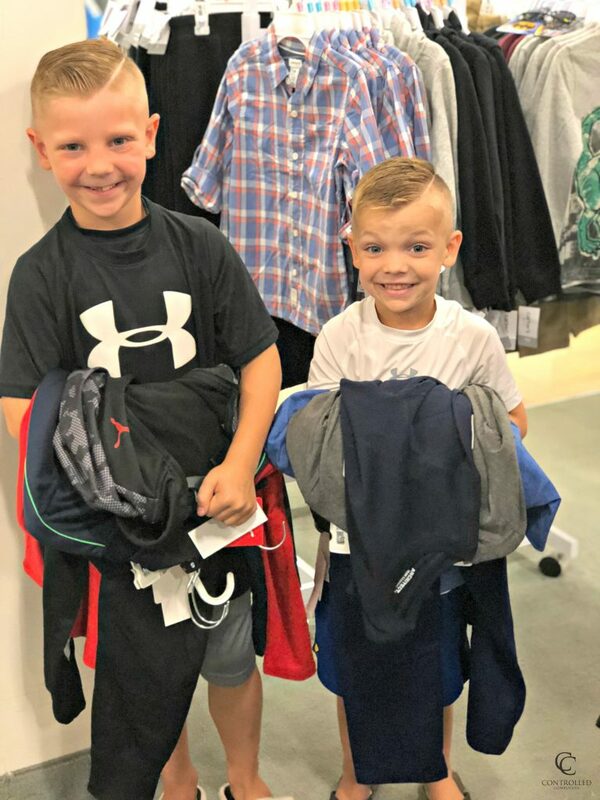 Whether your Back to School list includes clothes and shoes, or backpacks and supplies, Boscov’s has you covered as your one stop shop!